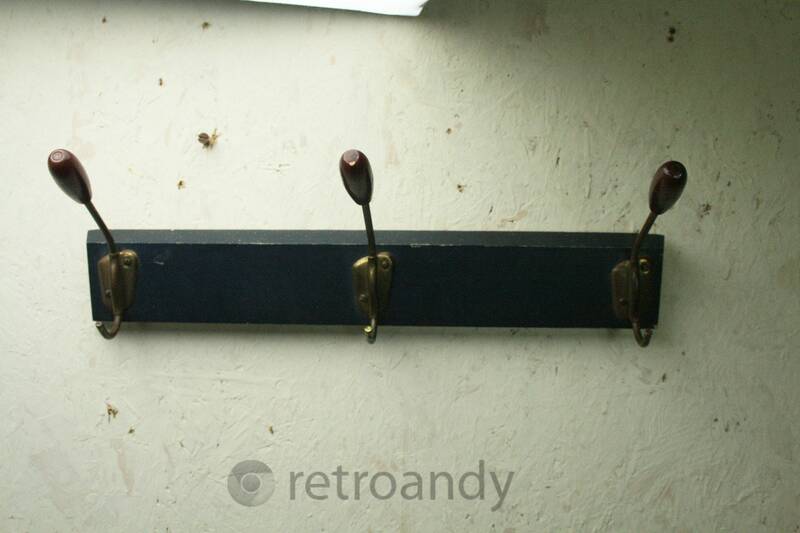 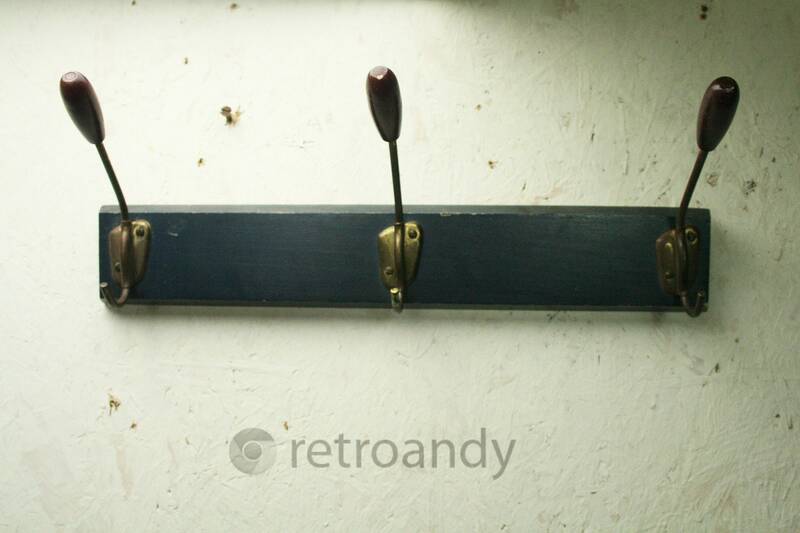 Simple yet functional vintage set of coat hooks mounted upon a piece of wood , three in total . 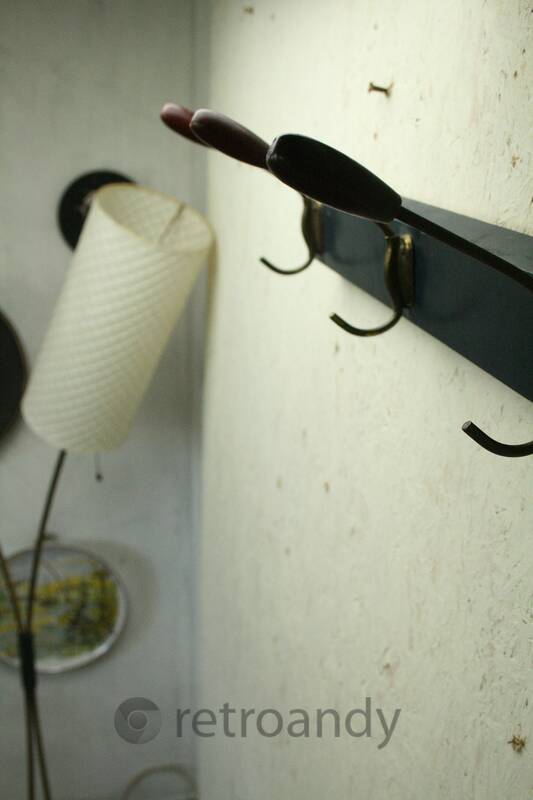 Measures 40 cm wide and protrudes 15 cm from the wall. 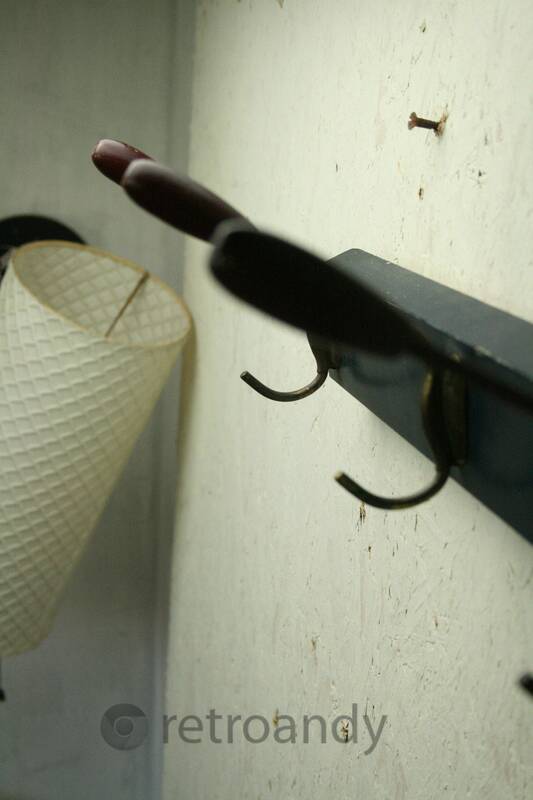 is used with signs of wear certainly shabby chic ..